Now I’m not usually one for Gospel music, or Choirs. 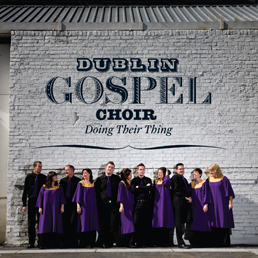 But when it’s the Dublin Gospel Choir and special guests, you better stand up and take notice. Performing with the DGC at the Olympia Theatre on Good Friday, April 22nd, will be Cathy Davey, Neil Hannon, and Paddy Casey. Oh and because it’s Good Friday, the Press Release does state that the Olympia bar will be open. So alcos of Ireland unite, we’ve got some music to hear! Tickets cost €30 and are on sale now.